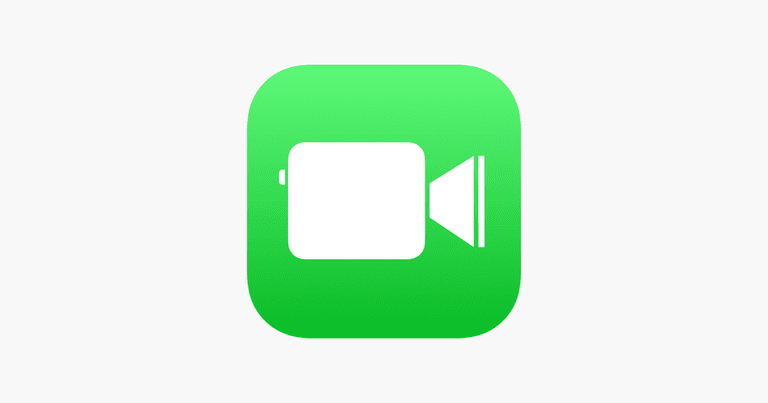 Let's take a look at what to do when FaceTime Audio – the audio-only version of the app – is not working on your device, and what to do when FaceTime is having audio problems. In fact, we'll tackle the latter first since it's the more likely issue you'll likely to run into. The following applies to both FaceTime and FaceTime Audio, and can resolve issues with both. Check that you haven't muted your microphone. It's quite probable that the person you're speaking with has accidentally muted their microphone (by inadvertently tapping on the microphone icon). To rectify this issue, ask them to check and tap their microphone icon. If it has been muted, the icon will be white (rather than grey). Also, if the person you're speaking with is complaining that they can't hear you, you should check that you haven't muted your own microphone. Check your volume. Similar to checking that your microphone hasn't been accidentally muted, you should check that your volume (or your interlocutor's volume) isn't turned all or most of the way down. To rectify this problem, simply tap the Volume Up button several times, until you and/or your caller report that you can hear each other fine. Check your Wi-Fi or mobile data connection. Given that FaceTime relies on an internet connection to transmit video and audio, it stands to reason that it could struggle to fulfil either function in the event that your internet connection is weak. Is the microphone "busy"? One potential cause of FaceTime audio problems is that your microphone is actually being used by another app while you're trying to make a call. For example, certain messaging apps and music apps require the use of your device's microphone, so if you have them open while using FaceTime you or your caller might not be able to hear anything. If this is the case, close any app that is or might be using your device's microphone, and then try calling again. Check that your microphone is working properly. If you can't hear your caller or they can't hear you, both of you should check that your devices' microphones are working properly. You can do this on an iPhone (or iPad) by opening Voice Memos and recording yourself speaking into the primary (i.e. bottom) mic. Also with iPhones, you can check the rear and front mics (both at the top of the devices) by opening the Camera app and shooting a video (in which you talk) using the rear and then the front camera. If you can hear and record your voice normally using such tests, then clearly your microphone is working fine. If not, you might need to take your device into an Apple Store for repair. Try restarting your device. By closing all of the apps you have running, a normal restart could do the trick of enabling you to open FaceTime again and make a call with working audio. Obviously, it's also worth getting your caller to try this as well, just in case. Update your device to the latest OS. Often, new operating systems are introduced to clear bugs or flaws affecting previous versions, which might have possibly been preventing apps like FaceTime from working properly. It's for this reason that it's worth updating to the latest available OS for your device, if available. Refer to previous Lifewire articles to see how to do this on an iPhone, iPad or Mac. Restore your device to its factory settings. This is a pretty heavy-handed option, but if you've tried all of the methods above and FaceTime still doesn't produce audio normally, it's worth trying. Of course, before resetting your device to its default settings it would be a good idea to back it up, as explained in previous Lifewire articles for the iPhone, iPad and Mac. Book an appointment at an Apple Store, or an authorized repair shop. Again, this is something you should do if none of the above steps have worked, since the only remaining explanation is that your device is suffering from some kind of hardware issue that's preventing its microphone from functioning normally. While the above steps deal with poor (or no) audio in FaceTime and FaceTime Audio, it could be the case that you can't get FaceTime Audio – the audio-only option – to even appear as an option on your device. This could be for a variety of reasons, yet the most common is that you don't have a compatible device or operating system. For example, you need at least iOS 7 on your device to use FaceTime Audio, so if you're not running this operating system (or a more recent one), you won't see the option to make or receive an audio-only call using FaceTime. In particular, this applies to any iPhone older than the iPhone 4 (e.g iPhone 3), as well as the first-generation iPad. However, it might also be the case that you have at least an iPhone 4 or iPad 2 but haven't updated to iOS 7 (or a later OS). If this is the case, you have to update (as described in Step 7 above) in order to be able to have the option of using FaceTime Audio.